There are many ways to hair-rig hard pellets, but some of these methods require a drill or a bottle of Superglue. But what happens if you don't have either of those things? What do you do then? It's actually possible to tie a large halibut pellet onto a hook hair, using a neat lasso formed from your hooklink material - and that can be either mono or braid - either will do the job effectively. If the hooklength you are using happens to be a coated braid, you'll need to strip back quite a lot to enable you to tie your pellet on effectively. 2. Thread the end through the loop. 3. Make sure you pass it through at least four times. 4. Tighten down the loop - but not too far! 5. Slip the pellet into the noose you’ve created. 6. Trim off the tag end with a sharp pair of scissors. 7. Using the knotless knot, attach the hook. 8. Using another grinner knot, attach the swivel. The rig is now finished. Halibut pellets have totally revolutionised barbel fishing. On a nutshell, catching big barbel on halibut pellets is THE number one river method right now. Britain’s barbel have become besotted with these potent pellets, in the next few months they will probably account for the capture of more fish than any other bait. According to River Severn barbel expert, Jason Ford: “Barbel are a passion of mine and the Premiership bait for them is the halibut pellet,” he said, casting a swimfeeder stuffed with pellets across the waterway. Placing his rod into an extended rest, pointing slightly downstream, his eyes focussed on the curved quivertop rod. His feeder, stuffed to the gunnels with a mixture of different sized pellets, was emptying its payload into the muscular current. Jason had set up just above a fast section of water at the base of a steep wooded gorge, where speedy currents were whipping alongside slower, slacker water. Jason’s plan was to land tempting morsels of bait right near the barbel, lazily residing in the gentler flow. From this ambush point the barbel shift across the fast water to intercept food items washed down the river by the flow. Normally, as a starter, a washed out worm might whet a barbel’s appetite, followed by a watersnail as a main course with a caddis larvae as dessert. Hardly hugely appetising grub it must be said! It’s no surprise then, that when more appealing culinary temptations are available that the barbel’s menu is swiftly changed. Enter those tasty, oily, calorie-packed treats in the form of fishmeal-rich halibut pellets. Whenever barbel are talked about, textbooks from just five or six years ago put meat, corn and maggots up there as the top barbel baits and certainly they’ll still catch their fill of barbel. But the pellet revolution is a 21st century trend that keeps growing. Amino acids, the building blocks of proteins, are packed into pellets and are adored by barbel. 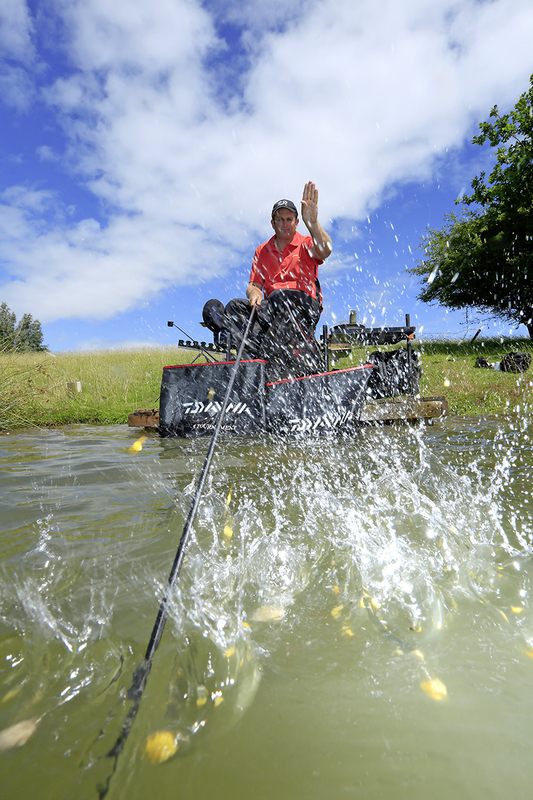 “I’ve always loved fishing for barbel,” said the Kidderminster and District AA Bailiff. “My first barbel was a tiddler from Shrewsbury weir that I caught with maggots 40 years ago. Set up on Kidderminster DAA’s piece of the Severn, just above Bewdley in Worcestershire, it was instantly clear that Jason had set out on a pellet-only attack, such was his faith in the bait. “Barbel use all their senses to search out food,” he explained. “Like many anglers I used to be a luncheon meat man. When I saw a good match angler, called Matt Hamilton, win a match on the River Wye with 50lb of barbel three years ago on pellets I was bowled over. “My technique of presenting pellets on the feeder is simple, and absolutely anyone can follow it for success. “I’ve used it countless times in the last couple of seasons and I tell you, it’s won me plenty of matches too,” he said in his friendly Black Country accent. After just 20 minutes, Jason’s rod shivered, then hooped round in as a barbel took his hair-rigged pellet, foolishly thinking that the hookbait was another free meal pushed out of the feeder by the current. Bending his 11ft 1.75 test curve Normark Avon rod into the fish, the barbel surged off in search of a refuge in which to lose the hook. This peg, Jason assured me, was a snag free swim, except for a nearside bush leaning out into the water, and reaching out into the river Jason managed to turn the away from the branches. His tackle was perfectly suited for the job, it was strong enough without being over-gunned, and after an enjoyable battle on a responsive rod, a pellet-scoffing 4lb fish was guided into the welcoming folds of his net. With his first fish of the day safely landed Jason didn’t waste anytime recasting his pellet-loaded feeder. As he explained, when you are relying on the potent smell of a bait to attract fish to your swim, it is essential that you use a rhythmic casting technique to inject pellets into the water. Every 10 minutes he retrieved the empty feeder, filled it up again, and recast it into mid-river. As he waited for the next pellet muncher to invade his swim, Jason explained the attraction of barbel on the Severn: “This is a barbel angler’s paradise,” he enthused. “A hooked barbel is like an Exocet missile on string - the excitement and sport they provide is unique in angling. “That’s why I’ve been living on the banks of the Severn for the last 30 years! “It’s a river that’s well worth visiting, wherever you live, simply because of the numbers of barbel. “There’s so much variety in the pegs. There are deeps, shallows, narrow runs and wide stretches like this peg, nicknamed the Nursery, as you find lots of juvenile barbel among the three and four pounders. Proof of this final point was promptly echoed as we watched the iridescent flash of a kingfisher dart across the river. For the price of a £3 day ticket this rivals any commercial pool for enjoyment! Feeder fishing for barbel is an uncomplicated affair. A medium to heavy feeder rod, that’s also suited for commercial carp work, fits the bill if you match it with a large fixed spool reel loaded with 8lb line. His rig is a simple running set up, using a Dinsmores block-end feeder. These feeders are brilliant at depositing various-sized pellets into the swim as they are robust and withstand repeated casting. Jason enlarges the feeder’s holes by carefully twisting sharp scissor blades in them, this allows the pellets to have a quicker exit. Using a clip on swivel (see diagram below), the feeder is left free running above a small fixed swivel carrying a 15 inch long hooklength of 8lb Terry Eustace Pro Gold line capped with a Mustad Eyed Specialist size 14 hook. It was strong gear that was perfectly matched to the power of the rod. If you’ve fished with pellets before you’ll know that drilling them, especially the small 8mm ones Jason uses, can be a thankless task. All too often impatience means that they break up before you’ve finished drilling them. However, instead of this fiddly task, Jason has come up with an ingenious loop system that lassos the bait firmly and securely in place. Jason starts by tying a grinner knot at one end of the hooklink. Then, before the loop is closed, the pellet is popped into the ‘noose’ which is tightened down to grip the bait. Next, using a knotless knot, the lassoed pellet is attached to the hook. 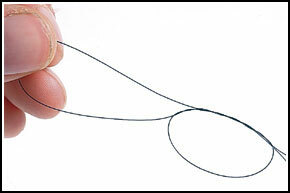 Another grinner knot is used to tie on the other end of the hooklength onto the swivel. When it comes to rebaiting, it’s a case of using a pair of scissors or the nose of a pair of pliers to tease open the loop containing the pellet. Push in a fresh pellet, pull the loop tight and you’re ready for action again! On a low, slow flowing river in summer, pellets can be introduced by hand, but in the autumn and winter, when the extra pace of the river would carry pellets in all manner of directions, the feeder is the most accurate way of introducing feed. “If you fill your feeder with just pellets, one problem you can get is that they explode out of the feeder too quickly,” revealed Jason. “The solution is to dust the pellets in Dynamite Baits Swim Stim groundbait. “Barbel have great senses, both in terms of sight and smell,” said Jason. Having spent over 40 years fishing the Severn, Jason knows the sort of features that make a good peg. There are key characteristics he looks for if he’s pleasure fishing: “The first thing I look for is pacey water - flowing at least at walking speed - where there’s plenty oxygen passing through their gills. “I look for a glide, running over small rocks or gravel. “In summer, when you have lower flow, I’ll be looking areas of faster flow, that you’ll find on the outside of bends and where the river narrows. “In the next few winter months I’ll be looking for easy glides offering a constant push of water. Quickly following up with another 4lb barbel, Jason explained his options for the remainder of the session. “I could cast slightly upstream or downstream of my baited area. It’s a big river and sometimes you have to move your bait to find the fish again,” he said. Following a half-an-hour lull in action, Jason duly switched from his 8lb hooklink to a 5.5lb bottom and dropped down a hook size to a number 16 Mustad Eyed Specialist. “The reduction in hook size and line diameter may seem insignificant in a coloured river, but this has brought so many extra fish in the past that it’s always worth a try,” Jason revealed. With his fined-down tackle Jason cast again over his baited area. Almost immediately the quivertip rattled: “That’s a chub mouthing the bait. Just like if you’re were bream fishing, you only strike at full blooded lunges,” he advised. We sat expectantly watching as the rod trembled once more, before lurching over again in a violent hoop. This time, with the slightly lighter hooklength, Jason played the fish with a tad more care but he soon slid the net under the fish, soon followed by a bonus 3lb chub. “Fishing commercial waters is great, but if you want to broaden your experience then the excitement of barbel fishing just has to be tried,” said Jason. “If you haven’t given it a go, get down to your nearest barbell river, arm yourself pellets and you’ll be hooked just like I am,” he urged. Unlike men, not all pellets are created equal. Some have high oil content, some have low oil content, others break down and some are flavoured. Which one you pick depends on the job you want it to perform. To remove confusion, here’s a selection of the types of pellet and how they work. These high-oil pellets are crammed with nutrients and proteins. Available from tiny 2mm pellets used to create beds of free bait, through to gob-stopping 21mm giant pellets. 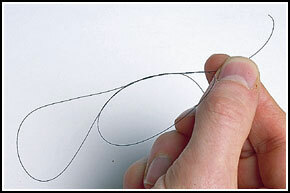 They are often glued to a hair rig, or drilled and threaded on a hair. Big carp, barbel, catfish and specimen bream and chub love them. Many commercial fisheries have banned halibut and trout pellets due to their high oil content. 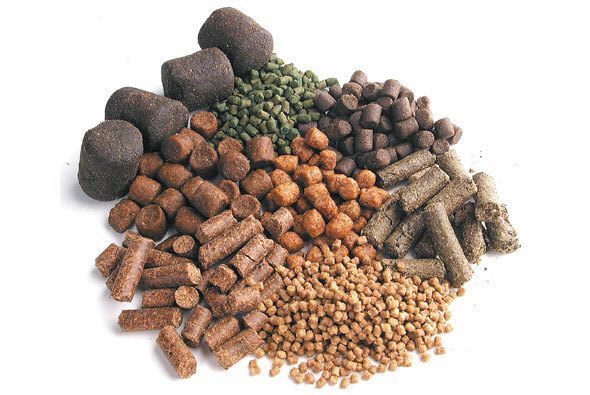 Based on vegetable proteins, these pellets are less oily, but are still excellent carp attractors. They tend to break down rapidly and are best used as a loosefeed, rather than a hookbait. Primarily created from salmon fry crumb, trout pellets have very high oil and protein content. Because of this, they’re better in summer when the warmer water will wash the oil out of the bait and create a scent trial for the fish to home in on. 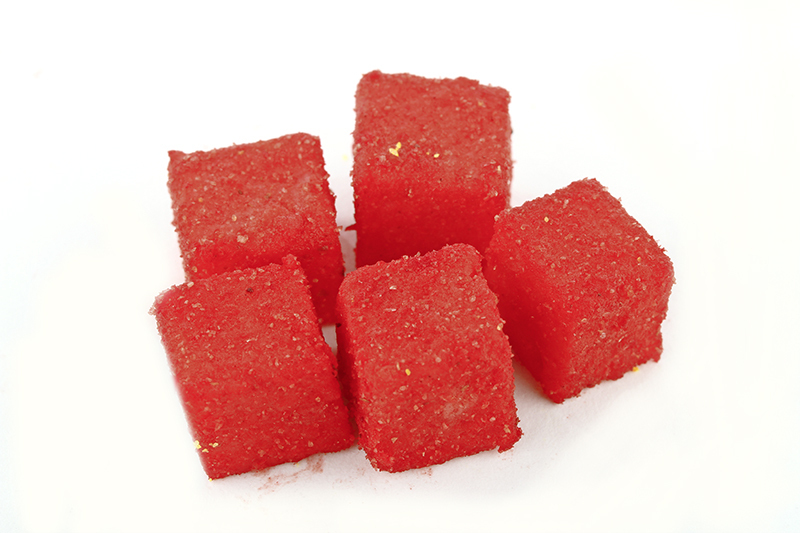 These hard, buoyant pellets are designed to be soaked in water to soften them and produce a slightly spongy texture. This enables you to directly hook the pellets. Jamie Masson uses BCUK pre-soaked expanders for his hookbait. There are few freshwater fish that don’t love hemp. These pellets are designed to breakdown completely into a hempy mush. Being fairly low in oil, they’re ideal to use all year round. They work well in PVA bags, groundbait mixes, as a loose feed or can even be boosted with a little hemp oil. Tremendous for tench and carp. Usually made from tiny carp pellets that have been carefully moistened and preserved. Excellent for getting carp and silver fish feeding and keeping them in the swim. CSL stands for Corn Steep Liquor. These savoury smelling pellets collapse quickly underwater, creating a fine carpet of attractive food particles. They can be used in PVA bags or Method mixes, they’re also good when used as a loosefeed. Many species love CSL, particularly carp and barbel. These are sweet pellets. Bait companies make customised fishmeal or carp pellets laced with flavouring. These are Nutrabaits Trigga Ice pellets, big carp love them. Most expander pellets float if they are used dry, straight from the bag. To make them sink, so you can use them to catch carp, bream, tench and crucian carp, you will have to prepare them correctly. That means using a pellet pump. Pellet pumps come in all shapes, sizes and colours, but they all perform exactly the same function – to remove air from the pellets and replace the air with water. That’s what makes the pellets sink. 1. Tip the amount of pellets that you need for your session into your pellet pump. Now fill the pellet pump container with enough water to ensure that all the pellets float. 2. It is at this stage that you add a squirt of your chosen flavour, if you so wish. 3.Now securely attach the pump to the container and pump it 10 times. Now release the lid to allow the air to escape and re-attach the top and pump it 10 times again. The pellets will now have sunk to the bottom of the container. 4. Once they have been pumped, the pellets can be tipped out over a sieve or riddle and transferred into a clean bait box. Now, to keep the pellets fresh and to stop them from drying out, tip just enough water over the pellets to cover them. 5.Some match anglers prefer to prepare their pellets on the bank immediately before they begin their match or session, but you don’t have to do this. You can prepare the pellets the night before, tip them out to drain them and immediately bag them up. Squeeze the bag to remove any excess air, twist the neck, seal it and store in a fridge overnight.